First of all, this book is written for young adult readers, and it is written in verse. If you are around kids, you know how much they love poetry especially when the language is accessible and the topic is relatable. So, most students, even those who are a little older than young adult, will love this book. I just love how Kwame uses words. He uses the words’ position to give visual meaning, and you must read this novel to find out how the title, The Crossover, is cleverly used as a pun. The language is simple enough yet complex enough to catch and hold the reader’s attention right from the very beginning. Kwame also beautifully uses verse to develop each individual character’s voice, the storyline which is infused with sports and sports terminology which Kwame carefully explains, and many themes which students will appreciate such as overcoming obstacles, coming of age, the complex dynamics of relationships, love, family etc. This is not one of those "I had it tough, but I made it kind of books.” This is a book where the mother is an assistant principal, the dad is an ex-professional basketball player, and the twins, Jordan (JB) and Josh (Filthy McNasty), are twelve year old boys who are the stars of their middle school basketball team, but they still have common middle school problems. I was completely drawn into the authenticity of this family where we are shown the image of a strong African American father figure who has close bonds with his sons and wife. I have desperately been trying to think of ways that I can use this more of a middle school book in my 10th grade classes: as a read aloud, as an independent reading that rotates throughout the class, as a group reading assignment where the kids read to each other. Also, I’ve thought about the possibility of using some of the quotes that are meant to teach lessons as writing prompts. However, if you are a middle school teacher, you can google The Crossover, and all types of things will come up, including teaching ideas. You can take those ideas, modify them, and make them your own. I’m thinking that I can also modify some of those plans to teach this novel to high school students as well. Regardless of age or race, I think that almost any person can enjoy and even relate to this book! 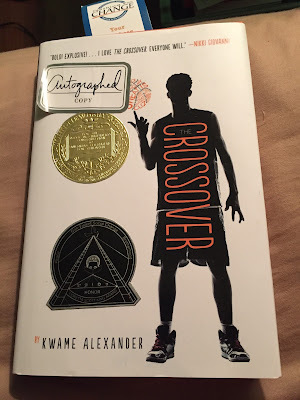 Kwame Alexander will reach so many students, even reluctant readers, with this book. I know exactly why this book won The Newbery Medal and The Coretta Scott King Award; IT’S GREAT! 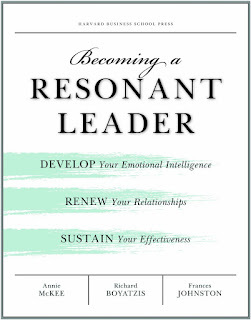 Y’all know that I will read just about anything, and last month, my book club decided to read Becoming a Resonant Leader. I bought the book digitally, and I thought that I would highlight some important parts and go back and read those important parts whenever I needed them. I started reading this book, and it was not what I thought it would be AT ALL... 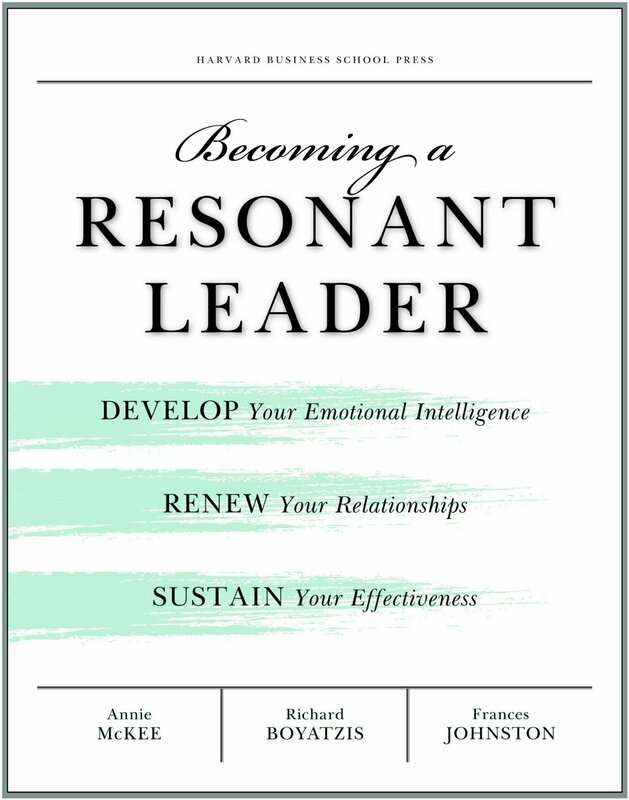 Becoming a Resonant Leader is a workbook, and this workbook is all about asking a person to think about his life. This book asks questions such as “Think of the people who have helped you the most in your career? What leaders have inspired you? Am I in touch with others? What am I currently doing in my life that works? What do you tend to do when you are under pressure? List twenty-seven things that you want to do before you die?" Now, you know that I believe that the universe sends use just what we need when we need it, and this book showed up right on time. My people, if you want or need help reflecting on your life, then this is the book for you. Wasn’t looking for it, but I am happy that it showed up! Eddie S. Glaude Jr. and me! 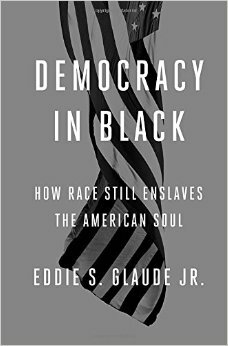 Democracy in Black came my way several times, but to be honest, when I looked at the cover, I thought that it might read like a textbook, and I gave it second thoughts. However, I received an email stating that Dr. Glaude would be in DC, and y’all know I can’t pass up many opportunities to hear authors talk about their books and race. So, I went to the talk. I was instantly drawn into Dr. Glaude’s passion; I got the overwhelming feeling that he loves my folks and his folks and our folks, and I just had to read this book. And, you know what? I feel something different in the air, and it’s paining me to the core, but at the same time, I feel a deep sense of hope. Dr. Glaude states “Our choice now, as we leave behind the confidence men and their false hopes, is either to wake up and give everything to ‘achieve our country’ or to remain asleep as America burns.” Oh, this fondly reminded me of The Fire Next Time by James Baldwin, and it gave me the courage to run on. One of the ideas that is presented in this book that I have been wrestling with is the idea that Democracy means White and to see this truth in words made me think about our school systems that seem to perpetuate this idea by a teacher having to justify teaching works by Toni Morrison, James Baldwin etc, and it is readily accepted that Shakespeare, William Faulker, and Jane Austen are the staples of any school’s curriculum. This perpetuates the idea that Democracy is White and definitely creates a value gap. Also, I thought about Coates' idea from Between the World and Me of race being a social construct that creates a huge White group collectively with all of the power and influence, and everybody else scrambling to get some of that power. Racial habits..."Rather, inequality comes from habits we exercise daily-habits that are not revealed in racial slurs or blatant acts of discrimination, but in the choices we make and the lives we live, even when those ideas seem to have little to do with race.” When I read this, I wanted to cry tears of pain and at the same time tears of joy.... It’s the decisions that we are making everyday that creates inequality.... If you are an educator in The United States of America, you see this every single day. Things like allowing school buses to be late every day and most of the children who ride the buses just happen to be children of color, overcrowding of classrooms that just happen to be the classroom of children who have the most needs and most often these children are children of color. Or, Detroit public schools running out of money, and the world ain’t upset. I wonder if people are not upset because of our perceptions of schools and school districts where most of the students just happen to be Black. I do believe that we can make different decisions, yet most often, we are not, because it’s part of our racial habits. White Fear....The idea that White people’s fear of Black people causes police to beat my people. That fear causes White people and Black people to hold their purses tightly when they see suspicious looking Black people. The idea that if Black people show any form of anger, it causes White people to be afraid....However, with the art that is being created today, the books that are being written, the explosive social media, people are being forced to listen and face their fears. Yea, we know by the number of people who attend Trump’s KKK, oops, rallies, many are responding to these bold, loud, courageous Black voices with fear and the fear is manifesting itself as hate. However, Dr. Glaude mentions that the flip slide of White anger is Black distrust... And, I could go on and on about this topic!! Now, Dr. Glaude touches on many other ideas in this book such as the ideas of saving our historically Black colleges, churches, magazines, newspapers etc., because we “still are institutionally at risk.” I absolutely love the quote that Dr. Glaude used by James Baldwin to explain the need: “What will happen to all that beauty?” He also touches on the idea that we do not need one leader; we can all be leaders. What I love about this book the most is that Dr. Glaude offers solutions....”If we are aware of their presence (habits) in our lives, we can change them." After reading this book, my people, I clearly see everything that he is saying; I’m wide awake. I am sooooo grateful to Dr. Glaude for courageously writing this book and adding to the many stories on race and racism that MUST be told. Labels: books, Democracy in Black, Eddie S. Glaude Jr.